New. 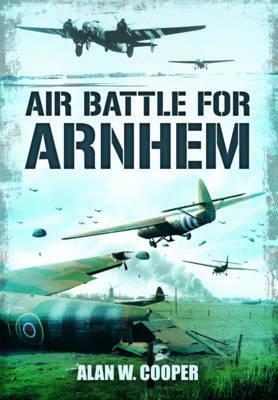 Features a detailed overview of operations at Arnhem, code named 'Operation Market Garden', during the final year of the WW2. Points out the importance of this operation in both military and human terms. Acts to commemorate the bravery of the men who embarked upon this operation with determination, and persevered despite huge losses. Num Pages: 256 pages, Illustrations. BIC Classification: 1DDN; 3JJH; HBJD; HBLW; HBWQ; JWG; JWLF. Category: (G) General (US: Trade). Dimension: 239 x 163 x 22. Weight in Grams: 508. 2013. 1st. Hardcover.....We ship daily from our Bookshop. Good. 1781591083 Hardcover with fine dust jacket. Book is in excellent overall condition, pages are tight. A few pages have a few small highlighted lines. Good in Good dust jacket. 1781591083. C-Mild wear and rubbing to covers. Moderate wear to DJ. Binding sound. Text clean of highlighting, underlining or other pen/pencil marks. A Little Store that's BIG on Service. Free Delivery Confirmation on every package. ; 9.21 X 6.30 X 0.94 inches; 208 pages. Like New. Excellent condition inside and out. minimum damage to cover, clean pages. Fine. 256 p. Illustrations. In Stock. 100% Money Back Guarantee. Brand New, Perfect Condition, allow 4-14 business days for standard shipping. To Alaska, Hawaii, U.S. protectorate, P.O. box, and APO/FPO addresses allow 4-28 business days for Standard shipping. No expedited shipping. All orders placed with expedited shipping will be cancelled. Over 3, 000, 000 happy customers.